A comprehensive how-to book for one of North America's fastest growing crazes. 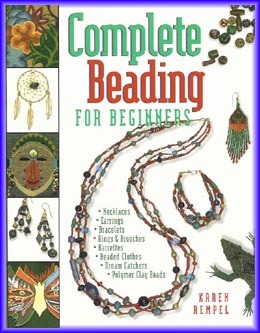 Simple and straightforward, it has reader-tested step-by-step instructions for beading beautiful necklaces, earrings and bracelets, and important details about finishing techniques, such as sewing beadwork onto cloth or leather, or using clasps and jewellery findings. Hundreds of easy-to-follow diagrams, step-by-step instructions, helpful working tips, and glossy colour photos of classic and contemporary beadwork.